We've all heard about natural deodorant, but how many of you have actually tried it? I recently decided to give it a go and since I don't like to do anything by halves, I tried it during the hottest week we've had this summer. I must say, it's definitely different to wearing the kinds of deodorants I've always used in the past, but I was pleasantly surprised by the results I encountered when I tried The Natural Deoderant Co. Active Deodorant Balm in Orange & Bergamot. So what's the big deal about natural deodorant? Well, in short, it's no different a choice than why so many people are switching to a range of other natural health & beauty products... It's all down to the chemicals really. Many deodorants and anti-perspirants available on the market today contain aluminium which can be absorbed into the skin, particularly when you have shaving nicks. There are various opinions as to whether or not this is dangerous to our health, but it's always been my personal view that where possible - (and believe me, I know it's not always possible or practical whether financially or otherwise) - natural is best. I mean, if we don't need to introduce foreign chemicals to our bodies, why should we? 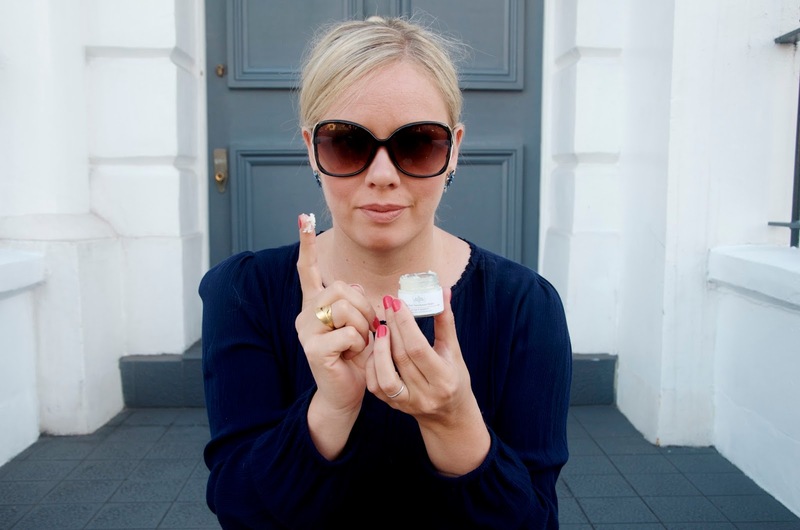 If we wouldn't feel good about eating it, why would we put it on our skin? That said, I have generally been shy about messing around with my deodorant when it comes to expanding my natural product usage... Nobody likes a stinky armpit, sweat stains can be embarrassing and it's just downright polite to have good personal hygiene, but I had to get answers to these questions for myself and the best way to do that was to just jump right in with both armpits feet and risk the embarrassment. 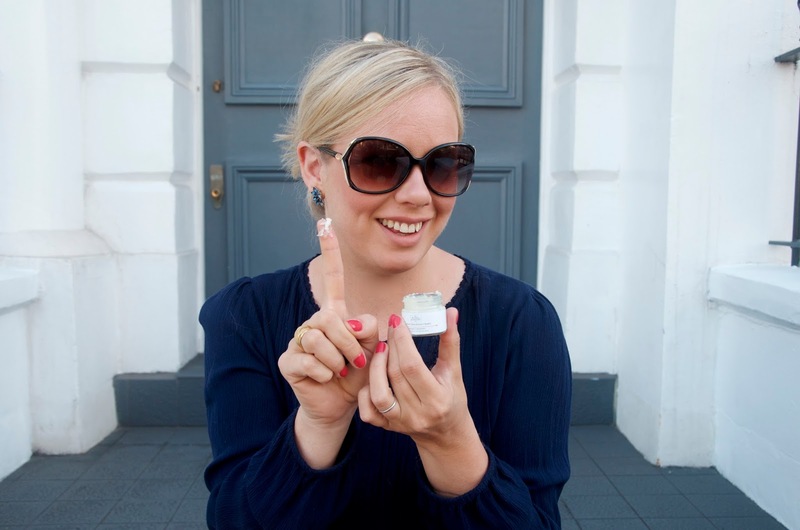 I teamed up with The Wise House to test out a natural deodorant for a week and see what all the fuss is about. The Natural Deodorant Co. Active Deodorant Balm is what I chose for my experience. It contains no aluminium or parabens and since it's geared towards a more active lifestyle, I thought it would be the best option for me, particularly since I decided to do my trial in the height of summer. Generally speaking, I'm quite active on a regular basis. I attend multiple dance classes & lessons every week, I go to the gym as much as possible, I go out dancing whenever I get a chance and I walk pretty much everywhere I can. It's also summer in London, which many people will laugh at, but we've had some seriously hot days lately when even the simple act of sitting down can work up a sweat and like most people I know here, I don't have an air conditioner in my home, which is also where I work. 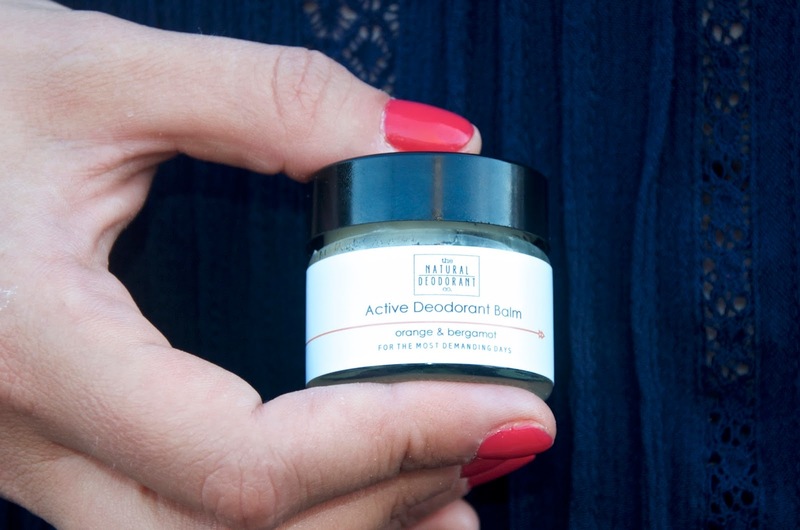 The Active Deodorant Balm is hand-blended in small batches, Vegan, cruelty-free and uses 100% natural ingredients. The balm contains organic coconut oil and wild shea butter, both of which hydrate and soothe the sensitive skin under your arm. Sodium bicarbonate (also sometimes known as baking soda) is also in the product to leave a light, powdery finish on the skin and keep things dry. It might seem odd to use baking soda, but actually I always have a box of this in my fridge because it's a commonly-known way to deodorize a smelly fridge. My armpit is a bit different than a fridge though and if I'm honest, I was completely skeptical about whether or not this would work, but I'm happy to admit that I was pleasantly surprised. The first day I used the Active Deoderant Balm was touted by all the newspapers as the hottest June day in Britain for the past 40 years. As you can imagine, most of London was in a tailspin, not used to the excessive heat and all the news channels were heavy with warnings to stay cool and hydrate. I didn't plan it this way... I'm not a weather man, so obviously I was nervous as temperatures rose and it got properly hot. To use this balm, you simply put a pea-sized amount on the end of your finger and massage it into the entire armpit area. When it's hot outside, it must be stored in the fridge or else it will melt, so it's worth noting that when refrigerated, it requires a bit of working to get it out of the jar. I've found that if I just take it out of the fridge before I shower and leave it on the counter, I can shower, dress and get ready for my day. By then, it's much easier to manipulate and apply before I walk out the door, popping it back in the fridge as I go. 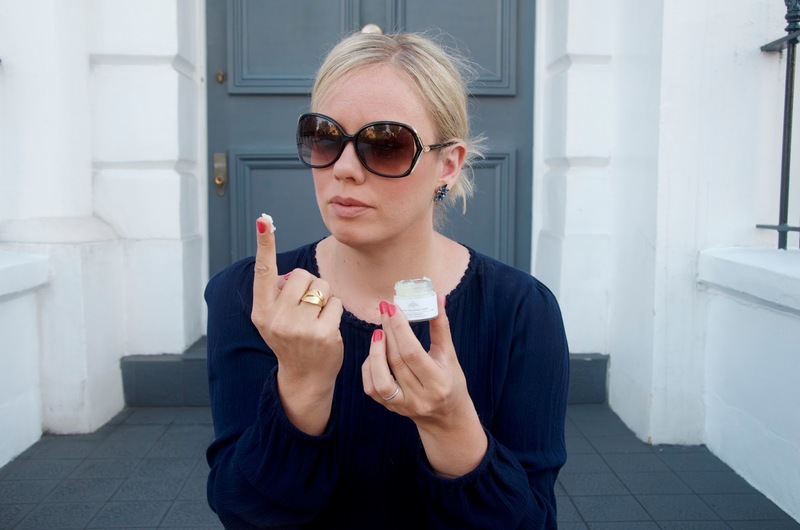 One of my concerns about using the Active Deodorant Balm was my fingers. One of my pet peeves is getting deodorant on my hands because it makes them super dry and sticky. I was surprised that after applying the deodorant, I couldn't even tell it had been on my fingers at all really. Smell is also important to me - I hate floral smelling deodorants or ones that smell excessively like baby powder. The Orange & Bergamot fragrance is completely lovely, soft, fruity and doesn't interfere with any of my regular perfumes or fragrances. So, getting down to business about what it's like to wear the Active Deodorant Balm I can say that I never once had offensive body odour while using this product. I smelled fresh all day, despite the heat and even found that I was still fresh under my arms when I woke the following morning, regardless of how warm I had been during the night. Surprisingly, this natural balm also didn't have that sweaty stale deodorant smell that other deodorants have the morning after - you know the weird smell I'm talking about. I wore this product to dance class, to the gym, for long walks, for days spent sitting the sun - I really put it through its paces and it didn't fail me in terms of odour. Unfortunately, I did find that the Active Deodorant Balm didn't really keep me super dry, but if I'm honest, in most cases in the type of heat I was enduring, other deodorants wouldn't be brilliant at that task either. In extreme heat, a bit of sweating is expected, though I would say on a regular basis and based on my experience, I would be very happy using the Natural Deodorant Co. Active Deodorant Balm on normal days, but if I'm honest, I'd probably go back to using something a bit more powerful for extra sweaty days, particularly if I was going somewhere where pit stains aren't really ideal. So what's the verdict? Natural deodorant is totally possible and surprisingly effective. I highly recommend the Natural Deodorant Co. Active Deodorant Balm for anyone who wants to venture into this aspect of normal products themselves. While I might still keep a regular deodorant around for extra sweaty days, I am a big believer that something is better than nothing and in the event that chemicals found in the products we use every day are harmful, every time we skip them, we're doing ourselves a favour and giving our bodies a break. In terms of price and practicality, natural deodorant is a bit more of an investment. The Active Deodorant Balm is £6 for 15ml or £11 for 60ml, so it's not exactly cheap, but nothing worth having really ever is if we think about it. While some people have reactions to the sodium bicarbonate in the form of skin irritation, I personally didn't experience any problems and I have very sensitive skin as well as a ton of allergies. If you do decide to make the switch, a spot test is advisable and you might want to avoid using the product immediately after shaving if you find it irritating. There are other products in the Natural Deodorant Co. range that use less or no sodium bicarbonate, so if you find this is an issue, don't let it deter you from going natural. You might just have to try out a few options before you commit to a natural deodorant that works best for you. The Natural Deodorant Co. 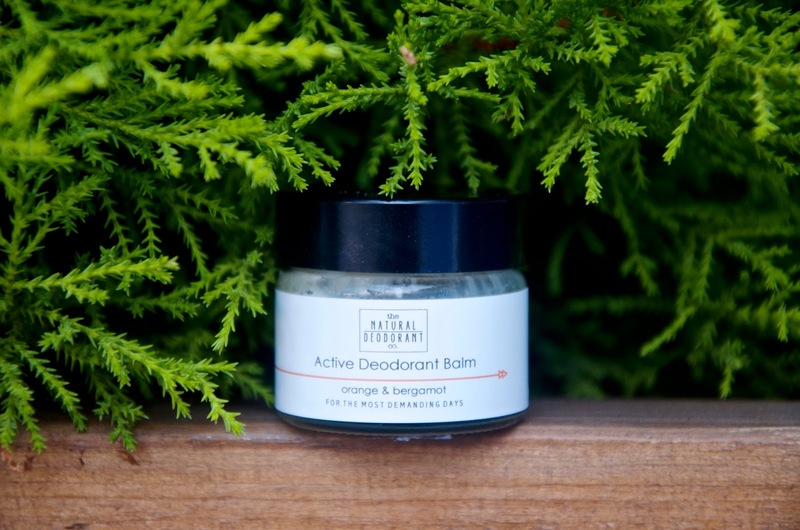 Active Deodorant Balm in Orange & Bergamot is available online from The Wise House. Once purchased, it's worth mentioning that it should be semi-solid in texture, so it may be necessary to store it in the refrigerator, but if not, at least keep it in a cool, dry place away from direct sunlight. For more information or to shop, visit thewisehouse.co.uk.